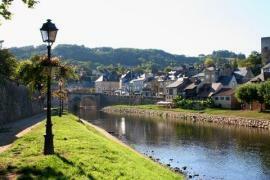 Badefols d'Ans is a pretty little village on the eastern edge of the Dordogne north of Terrasson-Lavilledieu. 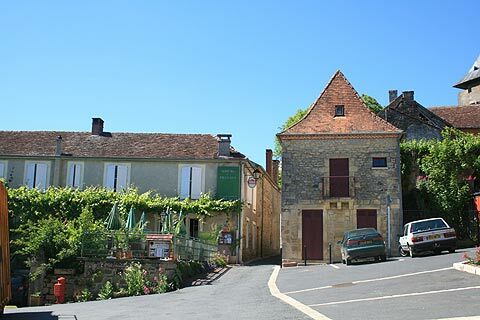 Badefols-d'Ans is one of many tiny villages in the Dordogne area. Driving around and discovering these small but beautiful villages that have barely changed in hundreds of years is one of the real treats of a visit to this area. 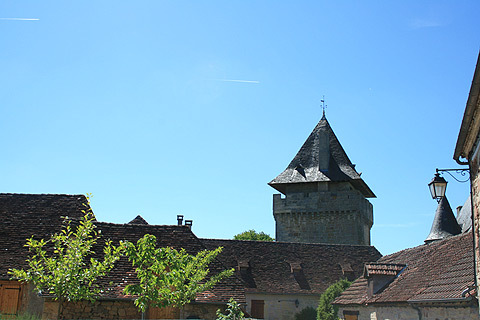 Badefols is dominated by its church and chateau both of which have very attractive roofs giving the village a very interesting sky-line. 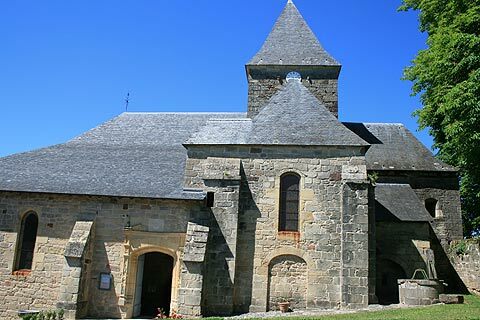 The church dates to the 17/18th century and is built with materials taken from the ancient church of St Vincent and a protestant church which was destroyed under orders of Louis XIV. 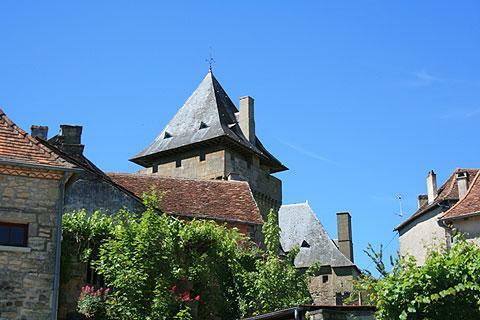 The chateau is private and it is surrounded by a high wall making it difficult to see up close. However its square dungeon and its towers, which date back to the 13 and 15th century, rise up above the wall and can be seen as you wander round the village. The castle was burnt down by the Germans during the Second World War because its owner the Count Jean de Lestrade of Conty helped the Resistance movement. It was restored by the Ministry of Reconstruction and Fine Arts and still belongs to the same family. The village has a very attractive lavoir, which is the medieval communal clothes washing area. It also has a great viewpoint. 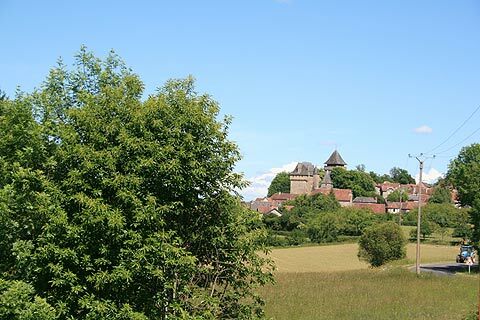 Walk up a hill to the viewpoint and orientation table to get some superb views over the Dordogne and Correze departments. 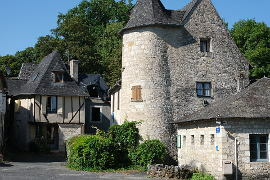 Badefols-d'Ans may be small but has two good restaurants which will tempt you to linger here and enjoy lunch or dinner. 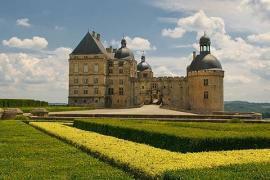 The drive between Badefols-d'Ans and Chateau de Hautefort which is only 7 km away offers some excellent views of Hautefort. 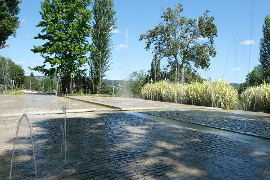 Badefols-d'Ans is 7 km from Hautefort and the splendid Chateau de Hautefort. 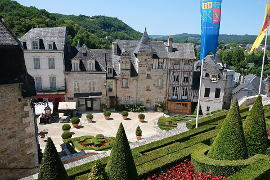 Both the chateau and its gardens are well worth a visit. 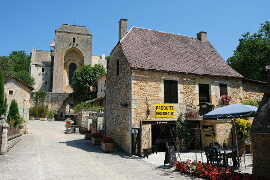 15 km away is Tourtoirac and the Grottes de Tourtoirac. The grottes de Tourtoirac were only discovered in 1995 and opened in 2010. 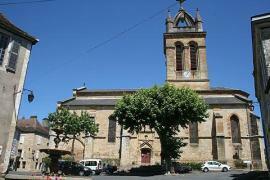 Just 10km away from Badefols in the Correze department is the charming village of Saint-Robert. 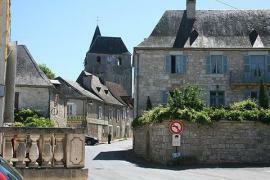 Saint Robert is one of France's classified 'most beautiful villages'. 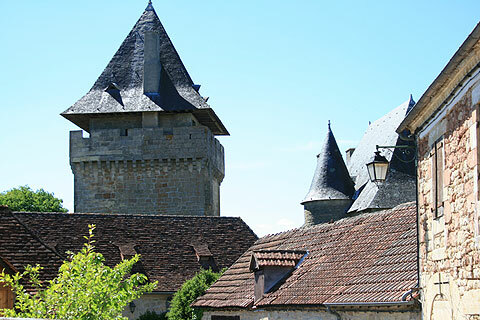 It has a large fortified church and lots of attractive stone buildings with interesting towers and other architectural details.